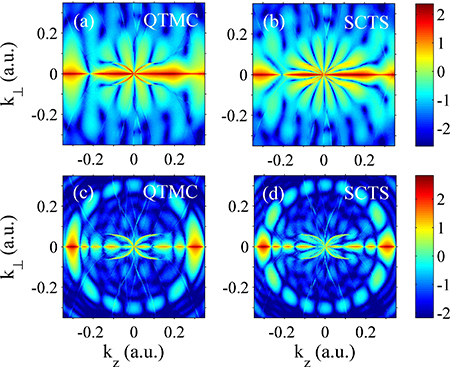 We extend the semiclassical two-step model for strong-field ionization that describes quantum interference and accounts for the Coulomb potential beyond the semiclassical perturbation theory to the hydrogen molecule. 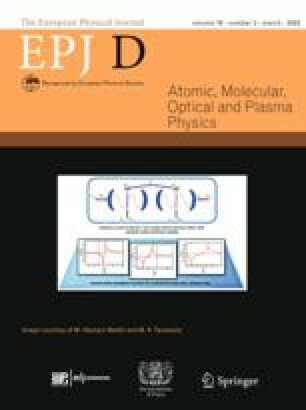 In the simplest case of the molecule oriented along the polarization direction of a linearly polarized laser field, we predict significant deviations of the two-dimensional photoelectron momentum distributions and the energy spectra from the case of atomic hydrogen. Specifically, for the hydrogen molecule the electron energy spectrum falls off slower with increasing energy, and the holographic interference fringes are more pronounced than for the hydrogen atom at the same parameters of the laser pulse.